I am a field biologist, retired from North Central College, who had been casually collecting gas pressure lighting and heating appliances for 35 years. Camping trips with my dad and brother included a Model 6-J Canadian Coleman stove and a 200A US red Coleman lantern. In college one of my professors showed us how useful Coleman lanterns were for finding small animals in caves. He teased us students because our newer Coleman lanterns weren't nickel plated as was his older lantern. A couple of years after graduating I found two nickel plated lanterns - an AGM 100 and a Coleman 242. The 242 became the lantern I used with my family when we went camping. As I neared retirement in 2000 I began to seriously collect and research these appliances and the companies that made them. The collection grew quickly at first but has fortunately slowed in growth with time. Now I spend more time cleaning and getting lamps and lanterns in my collection to run. My interests are broad; I have lamps, lanterns, and stoves from all over the world, some iron models and even a few carbide lights. During my travels in North America I have visited libraries and historic museums to learn what I can of the gas pressure lighting companies that were once located in those cities and towns. The city directories are especially helpful in this research. To follow up on the research I have written a number of articles for the Coleman Light and other publications. Most of these articles were written in collaboration with other collectors. 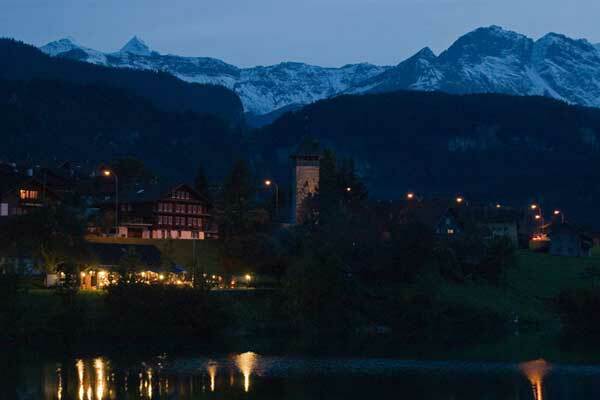 In the fall, 2010 I visited with collectors in the Ruhr Valley of Germany and attended a meet in Lungern, Switzerland, at the invitation of Erik Leger. It was a pleasure to meet the collectors, all of whom were friendly and allowed me to take images of their lamps, lanterns, and stoves to add to the lantern website. Much of the fun of this hobby is meeting other collectors at meets and conventions, seeing their collections, and sometimes looking for treasure together. I am a member of the Aladdin Knights of the Mystic Light, the International Coleman Collector's Club, and The International Guild of Lamp Researchers. The lantern website has grown from a few images in the summer, 2000, to over 2000 images from 255 collections located in 19 countries as of this writing. In a 30 day period the website gets over 14,000 visits from 100 countries/territories. The website is protected by copyright law. The 2000th image added to the website was a Tilley TL 10, steel construction, in Neil McRae's collection. Neil has been very supportive of the website since its inception. This lamp was added on August 22, 2012. 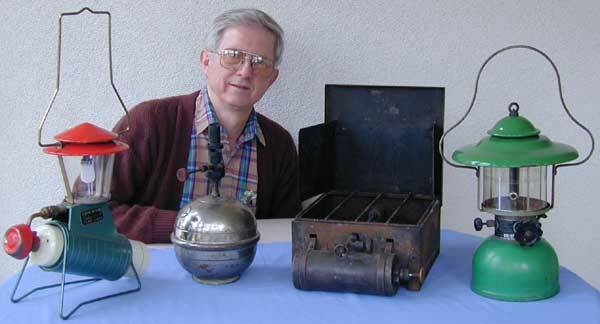 The lantern website is recognized on this website, http://www.collectorsweekly.com/, in their Hall of Fame: http://www.collectorsweekly.com/hall-of-fame/view/gas-pressure-lanterns-lamps-and-stoves. If you are a collector of gas pressure appliances, please understand that I get a large volume of email and I am not able to help everyone. Collectors can get a lot of help from other collectors by joining one of the forums, such as the Coleman Collectors Forum or the Classic Pressure Lamps forum, and asking questions there preferably with images as appropriate. Visit my links page for help finding parts and other collectors forums. I encourage collectors to contact me if they have a different gas pressure appliance that they would like to see on the website. If I want to consider adding the appliance(s) I will reply with information on taking images and ask you for the details of your appliance(s). People wishing to sell an appliance are best advised to leave restoration to the collectors. I don't make appraisals or offer values for these appliances. The best place to get that information is to search Completed listings on eBay. Sellers on eBay and other online auction sites may use appropriate parts of the descriptions from this website if they also put a link in the auction to the page(s) on my website that were the source(s) of the information. You may not use the images on the website in an online auction. and are not endorsed by North Central College. The College accepts no responsibility for the content of these pages.